Que Faire à Paris? 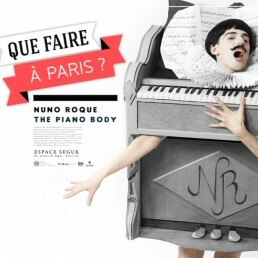 tells you all you need to know to prepare your visit to see The Piano Body sculpture by Nuno Roque, being exhibited in Paris until October 6th. This is the site of the City of Paris dedicated to culture and main attractions in Paris (France).